Crystal clear picture, theater quality sound and all your favorite channels, including almost 200 in HD.  Bundle two or more TSC Services including Television, Internet and Telephone. More services, more savings! TSC brings you crisp picture, clear sound and amazing entertainment choices. Digital Television enhances your experience, providing you with more then 150 total options. Top it off with Basic HD, and watch everything in explosive vibrant colors, giving you well over 200 amazing channels! Movie Buff? With TSC's movie packages you can watch all your favorites. We offer 25+ state of the art entertainment channels including HBO, Showtime, Cinemax and more. SAVE MORE WITH AN E-MERGE BUNDLE! TSC's BrightLightning can do more than just power your internet, it can super charge your telephone and television experience as well. TSC Telephone is so clear it sounds like the person is in the next room. So many telephone features are available, including our advanced voicemail. With Feature Rich, you get 10 of the most popular phone features FREE! Add Unlimited Long Distance and never worry about long distance again. TSC Television, powered by BrightLightning, gives you the most amazing picture...period. Get the best TV viewing experience possible plus more all-digital channels and more HD channels. Offering something for everybody with so many channels and features. 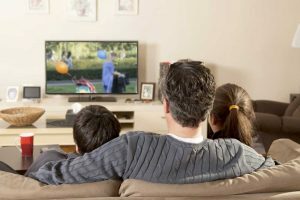 Fiber optics makes your Television picture look remarkable! TSC Television offers incredible picture quality with fiber optics carried right into your home. TSC's DVR (Digital Video Recorder) lets you watch pre-recorded shows on any television in the house with a set-top box. TSC Television, powered by BrightLightning, is a spectacular HD experience. BrightLightning is all about Maximum HD, delivering the best HD quality and the most HD choices available. There's HD, and then there's HD on TSC BrightLightning. You get 100% digital quality on every channel, and more entertainment you can enjoy.